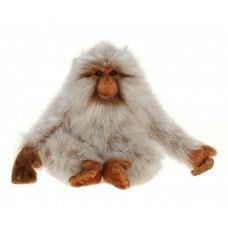 The Japanese Macaque, also known as the Snow Monkey, is a terrestrial Old World monkey species native to Japan. It is the most northern-living as well as the most polar-living primate other than humans. In Japan, it was historically known as Saru ("monkey"). Nihonzaru ("Japan" + Saru) is used in modern times to distinguish it from other primates. Individuals have brown-gray fur, a red face, and a short tail.